1 Bdrm 1st flr Period. Flat. V/bule. Lounge. Kitch. Bdrm. Bathrm (CT band - A). Price around £43,000 Entry by arr. Viewing contact solicitors. (EPC band - F). The city of Brechin is situated between Aberdeen and Dundee just off the A90 dual carriageway and within easy commuting distance of Montrose, Arbroath and Forfar. The town has 2 primary schools and Brechin High School caters for the teenagers. There are health clinics and dental surgeries as well as a wide range of shops ranging from high street multiples to traditional local retailers. The county of Angus offers an unrivalled range of leisure pursuits for the active family with hill walking, hunting and fishing being available widely throughout the area. The Glens and the Cairngorm National Park are an attraction for the outdoor enthusiast. Golfers fair particularly well with a wide range of courses on offer from the championship courses at Carnoustie, St Andrews, Kingsbarns and Gleneagles to the local courses in Brechin and Edzell. This is a traditional stone built property which was built around 100 years ago and has been well maintained over the years. 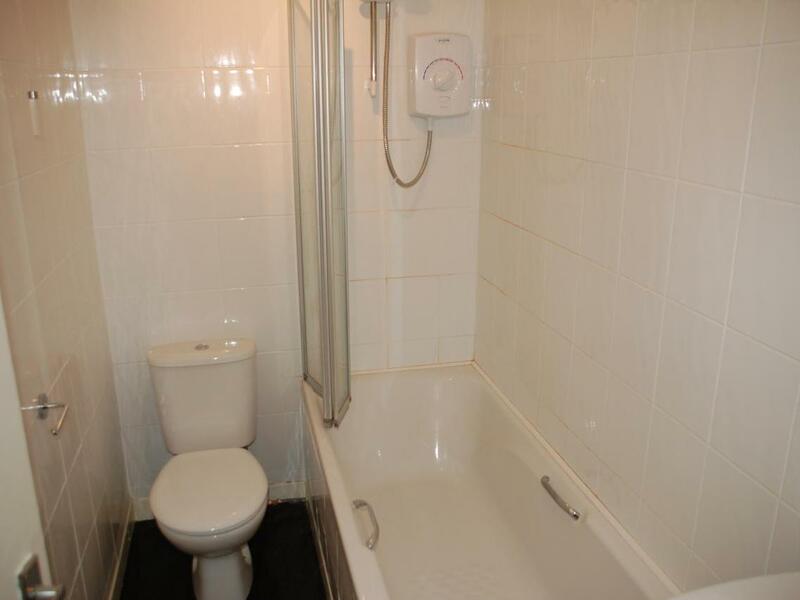 The property has been fully upgraded and modernised recently and it offers extremely comfortable accommodation by today's standards. 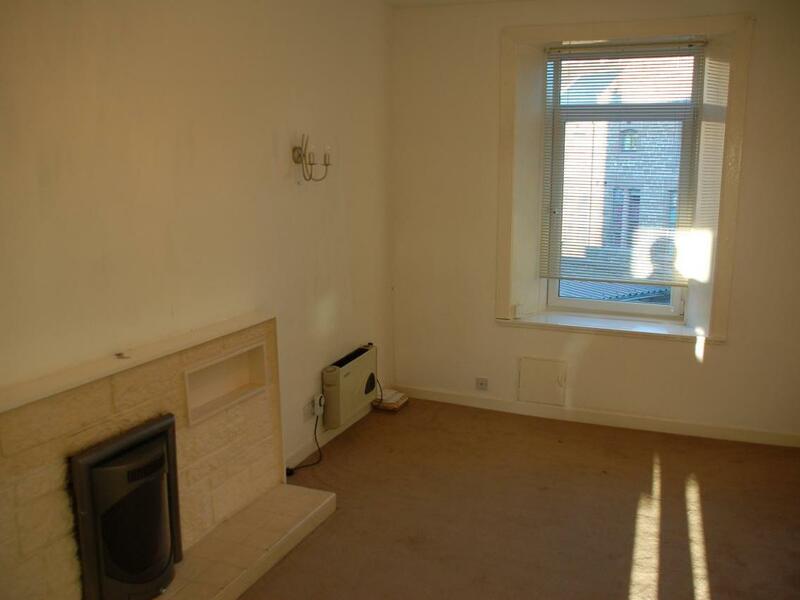 It comprises bright lounge with fireplace, modern fitted Kitchen with appliances, double bedroom with fitted cupboards and modern fitted Bathroom with shower. 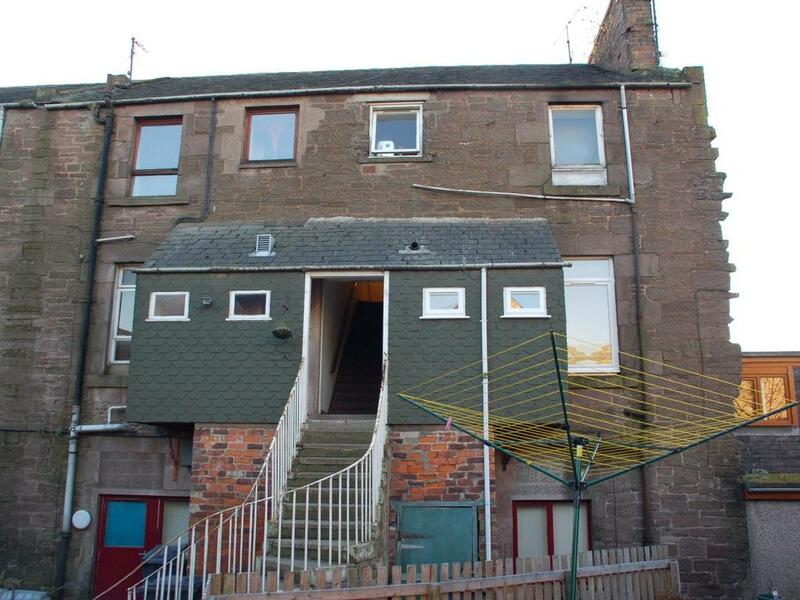 The property benefits from full double glazing and electric heating. There is shared garden ground to the rear of the property with a communal yard and shared drying area. Early viewing is strongly recommended to fully appreciate the value offered by this first floor flat which will appeal to both the first time buyer and the buy to let entrepreneur. Entrance vestibule A UPVC double glazed door with a glazed side screen gives access to the Entrance Vestibule which leads directly to the inner hallway by way of a fifteen pane glazed door. A window provides natural lighting. Ceramic tiled floor. Cloak cupboard provides useful storage accommodation and could house a freezer if required. Lounge 15' x 9'7" 4.53m x 2.89m This is a bright well proportioned public room which is located to the rear of the property with a window overlooking Albert Place to the north. 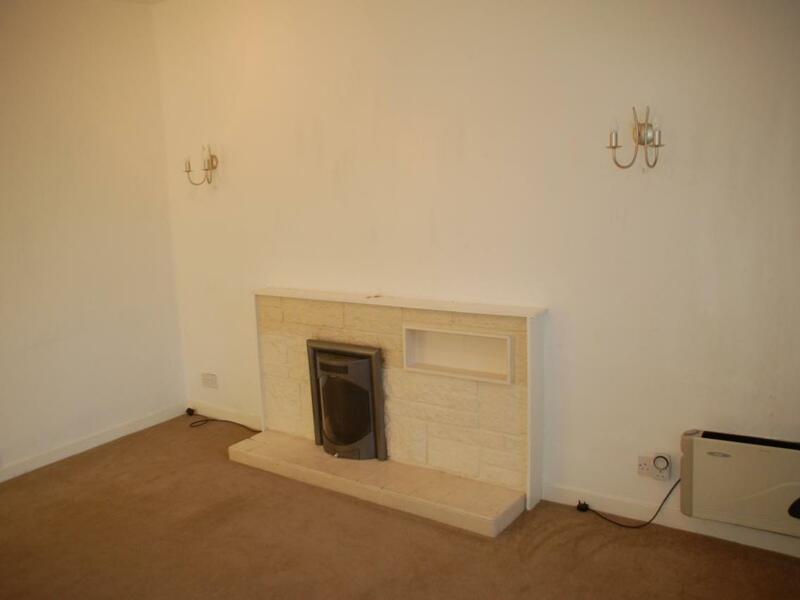 There is a stone fireplace with tiled hearth and timber mantle which acts as a focal point . Electric coal effect fire. Track lighting. Wall lights. Wall mounted Creda convector heater. TV and telephone points. Smoke alarm. Venetian blind. Fitted cupboard provides useful storage space. Kitchen 12'7" x 5'3" 3.79m x 1.58m The Kitchen has been fitted with a range of wall and floor mounted storage units with "beech" veneer doors, stainless steel handles and "dark marble" worktops with matching splashbacks. The Proline electric hob, oven, cooker hood, Indesit washing machine and Beko fridge freezer are all included in the sale. Laminate flooring. Stainless steel sink and drainer. Window to front. Spotlights. 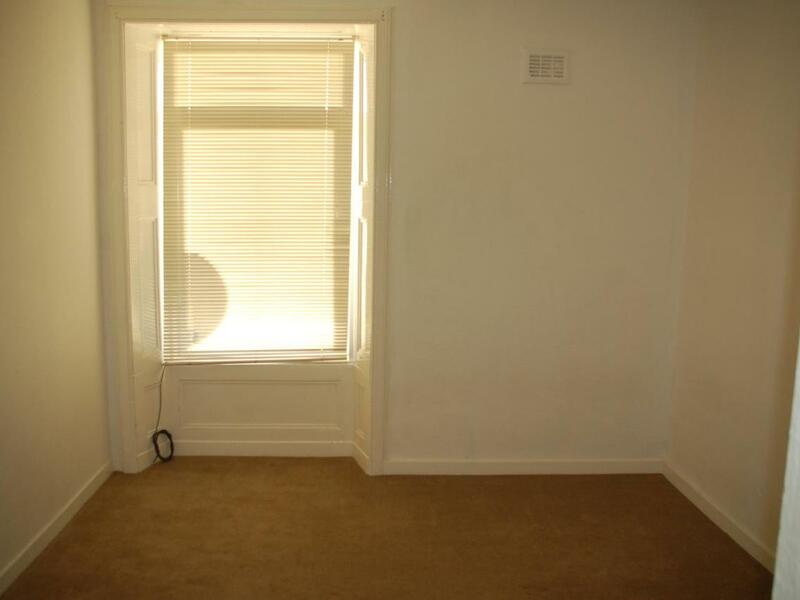 Bedroom 10'9" x 10'8" 3.25m x 3.22m This is a bright and spacious double Bedroom which is well presented. 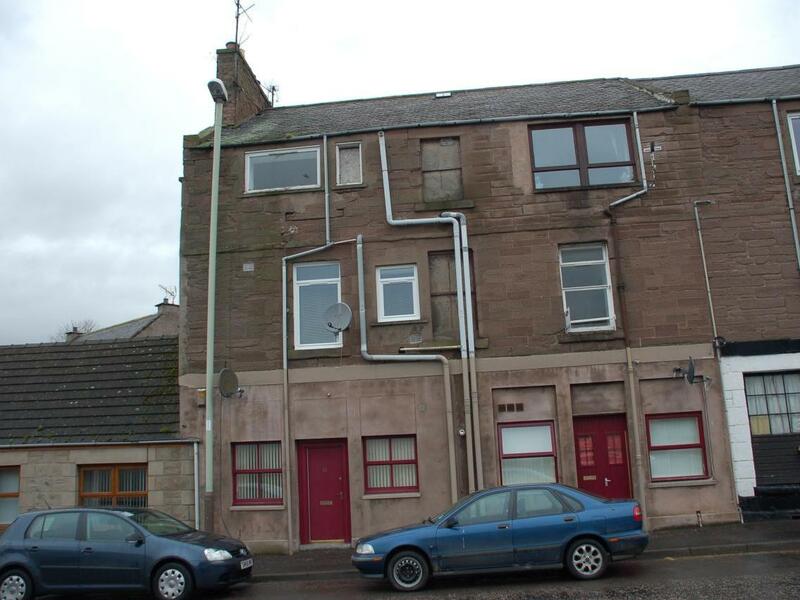 It is located to the front of the property and overlooks Montrose Street to the south with a view to open countryside. Airing cupboard houses the hot water cylinder and provides additional storage space. Further shelved cupboard with a hanging rail provides storage. Wall mounted convector heater with timer control. Venetian blind. TV point. Original coving. Spotlights. Bathroom 7'8" x 4'6" 2.31m x 1.36m Modern fitted Bathroom with white "Roca" suite which comprises twin flush low level water closet, pedestal wash hand basin and bath with Gainsborough electric shower fitment and folding glazed shower screen. There is ceramic tiling to ceiling height on all four walls. Track lights. Extractor fan. Vinyl flooring. 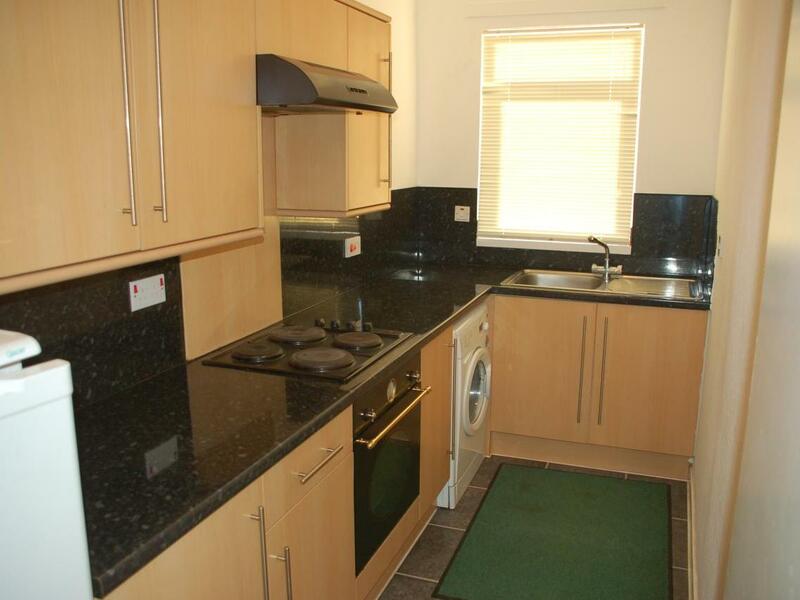 Extras All carpets, blinds, hob, oven, cooker hood, washing machine and fridge freezer are included in the sale. Heating There are electric convector heaters in the Lounge and Bedroom. Glazing All windows are fitted with double glazed sealed units in UPVC frames which were fitted in 2010 and have a 10 year guarantee. Garden There is an area of communal garden ground to the rear of the property.